Upcoming Saturday, October 7, the multiple award-winning San Diego Chorus of Sweet Adelines presents its 66th annual show, A World of Harmony, an a cappella showcase featuring guest headliners Stockholm City Voices, from Stockholm, Sweden, and L’Attitude, from New Zealand. L’Attitude won the quartet competition at the 2017 Sweet Adelines International Region 35 competition in April. The women in the quartet are members of various Sweet Adeline Choruses situated throughout New Zealand (hence the name L’Attitude). L’Attitude will represent New Zealand (Region 35), at the International Sweet Adeline Quartet Competition in Las Vegas. 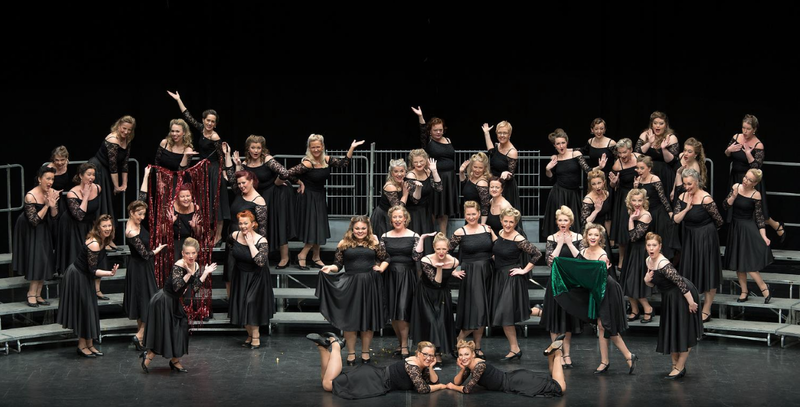 Stockholm City Voices is one of the leading female barbershop choruses in the world. The Swedish chorus, founded in 1977, today includes around 50 singers. In addition to barbershop, SCV has developed an extensive repertoire within pop, jazz, soul, folk, and Christmas music.